Since I wrote the last post on books, it seems like everywhere I turned the past two days I heard people talking about how important books were to their fundamental growth, as well as serving as a kind of smart retreat for their mind (and spirit). In some cases people were talking about rediscovering books after spending so many years filling their brains with information (from everywhere except books) and focusing hard on "the race" called work. It's funny, then, that the latest TED talk posted on the TED website features a really nice talk by the man in charge of taking care of TED, Chris Anderson. This was recorded in 2002, just a few months after 9-11 and with the dust of the dot-com bust still in the air. At that time people were not sure if TED would even survive. From the TED site: "This was Anderson's attempt to persuade TEDsters that the conference had a future, and that the transition from a for-profit event, to one owned by a nonprofit, could work." "I started to do something I had forgotten about [because of] my business focus—I started to read again." It was during this time of reading that Anderson says he realized that while he'd been busy working hard and focusing intensely on business all those years, there had been a revolution of sorts in many different fields. What was most exciting, says Anderson, is that "all this stuff is connected." Anderson goes on to give an example of how one single aspect of life is so connected to — and can be examined through — a variety of disciplines. He introduces the idea in a way that makes the audience erupt in laughter as well. If you are an avid follower of TED like I am, then hearing Anderson's vision for TED in this short talk (from six years ago) will be of great interest to you. When you're the leader, it is often best to present sans slides, technology, and formality, elements which may act as a barrier. Sometimes you just have to pull up a chair close to the audience, lean forward, and speak from your gut and from your heart. It does not have to be pretty, perfect or slick—in fact, it's better if it isn't. I liked this talk by Chris Anderson. It had story, vision, humility, and brevity. Four important ingredients indeed. I read this article today by Chris Anderson where he says he did not much like his performance in this 2002 talk. "I look back at that talk now and cringe — a lot. If I were critiquing it today," Anderson says, "there are a hundred things I would change." Yes, but as he also says in the article (and in his new book) he prepared well and had a clear idea what he wanted to say and why. By any measure his talk was effective. It worked. I highly recommend Anderson's book TED Talks: The Official TED Guide to Public Speaking. In college I read most of the books assigned, but not much else. Since I began working for a living, however, I have read far more books per year than I ever did as a hard-working college student. There is no panacea for success or any single formula for professional growth, but an unbridled curiosity and a hunger for knowledge and the enthusiasm for sharing that knowledge with others around you is at least part of a formula. Reading is a huge part of that. And reading books is key. 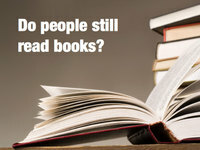 But do people still read books? Steve Jobs, speaking on what he thought of Amazon's Kindle said: “It doesn’t matter how good or bad the product is; the fact is that people don’t read anymore. Forty percent of the people in the U.S. read one book or less last year.” It is true that a large minority of people in the US do not read even a single book in a year. But as Randall Stross pointed out in his New York Times article, "the overall distribution is balanced somewhat [in the US] by those who read a lot." In my own case, as every year goes by and technology gets better and better, I actually buy more and more books. I buy more books perhaps because I am far more aware of books in the long tail thanks to blogs and the increased avenues for Word of Mouth marketing that reach me. So what's the future for books? 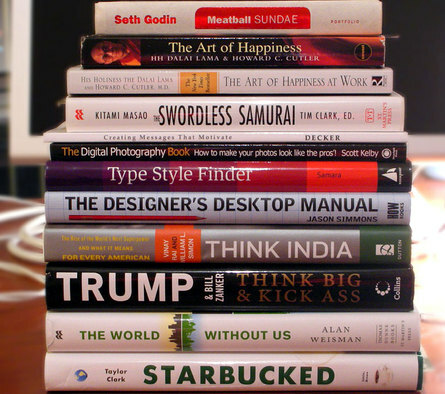 As I mentioned on the podcast with the Microsoft guys, as technology keeps pushing forward and we all spend more and more time online for information, networking, etc., I actually have found that I purchase more "real books" every year and do most of my learning and studying "off the grid" and away from the computer. I have come to look at books, then, as a refreshing and comfortable escape that allows me to slowdown and think more deeply about what I am reading. I purchase about 7-8 books a month and I actually read most of them. I read more living here in a large city in Japan since I spend so much time on the trains (hours spent on trains is probably one reason why Japanese read so much). 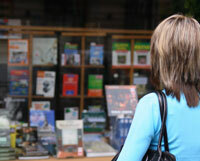 I get most of my books online, but I also love book stores. I love stumbling onto things through serendipity. While in the US a few weeks ago I picked up these books below while just browsing (except for Bert Decker's; ordered that one). You may think that some of the books are an odd choice. I mean the Dali Lama and Donald Trump! Are you nuts? Maybe. But I actually learned something from both (though I do not agree personally with everything Donald preaches, such as the idea of revenge, etc.). A potpourri of non-fiction discovered serendipitously in the US. I learned something from all the books; some more than others. For the business folks out there Meatball Sundae is a must (and a very quick read), and Starbucked (which I actually read in a Starbucks—they're everywhere!) 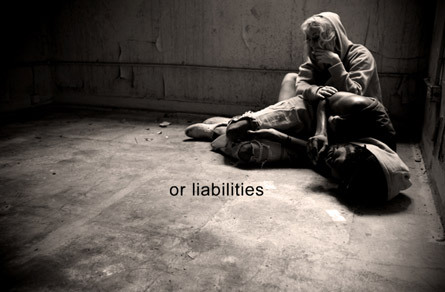 is a very interesting read from a local writer in Portland, Oregon. If you have a book that you'd like to recommend, please let us know. And speaking of Seth Godin, go here to sign up (free) to hear Seth Godin, Tim Sanders, Andy Wibbels and Pamela Slim reveal the one thing that will make or break your marketing efforts in 2008. Yesterday I returned to Osaka from Tokyo on the Shinkansen. As usual I grabbed a delicious ekiben and a bottle of tea before I rushed on the train and settled down for a relaxing 2.5 hour, high-speed trip back home through the Japanese countryside. Somewhere after Yokohama I unwrapped the bento, pulled out my MacBook Pro, inserted the DVD and kicked back to watch a documentary film called Helvetica by Gary Hustwit, a film I had been waiting to see for a very long time. I know what you are thinking—a film about a typeface? Are you mad? Yes, the idea of creating (let alone watching) a film about a single typeface seems quite insane, about as insane I guess as a film about a guy doing a slide presentation on climate change. 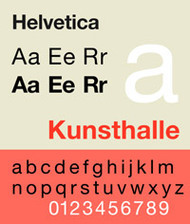 (Helvetica was created by Max Miedinger and Eduard Hoffmann in the late '50s in Münchenstein, Switzerland. The original name was Neue Haas Grotesk. 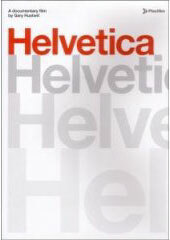 The name was later changed to Helvetica—Helvetia is the Latin name for Switzerland). I snapped this pic out the side window while watching the film Helvetica. Maybe I am just a geek, but this documentary blew me away; 80 minutes never went by so fast. Luckily, the DVD contains 95 minutes of bonus interviews. The DVD—which contains English and German subtitles—is an incredible bargain at around $20 on Amazon (get institutional pricing here; still worth it). Stop what you're doing right now and order this film. I found it entertaining, educational—and don't ask me why—but inspirational as well. My favorite bits were the interviews with Eric Spiekermann, especially in the extras section where he lambastes Arial (Hey, what's wrong with Arial?) and rips Microsoft a new one. Dr. Spiekermann remember was the designer who hated the World Cup logo as well. The film is for designers and non-designers alike, though it is surely not for everyone. For those comfortable with media that won't even devote three minutes exploring an important single news story, an 80-minute film about a typeface might not be very interesting. But for those deeply interested in the world around them, even if they are not designers, this film should be quite stimulating. Anyone who is interested in learning more about typography and graphic design and how they influence our lives and cultures will not want to miss this one. Here are some short clips below to give you a feel (though they do not do the film justice). The famous designers in the film were a mix of those who like Helvetica and those who really hate it. After you watch the film you'll know why. Me? 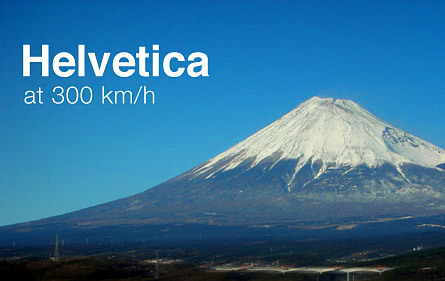 I tend to like Helvetica. I understand why some hate its use, but I find since it is a bit boring, yet somehow beautiful in its perfection, it works well inside images that are quite busy or otherwise dynamic. After the film you will surely have a greater appreciation for typography and the power of graphic design. I am not an expert by any means, but I absolutely love type. (Actually, I have a bit of a Gill Sans fetish that I am trying to break.) When you consider how powerful type is in setting mood and even in subtle manipulation (such as in advertising), everyone should have a course in at least the basics—perhaps a kind of typography for non-typographers class should be added to the curriculum. After you watch the TED video, go to Bill's website and checkout all the video clips of Bill on stage. I am inspired by this man's work, vision, and his ability to deliver his message and tell his story. Just another example of how important the art of presentation is. If you are going to lead—if you are going to change the world and not just talk about change—then you have got to be able to stand and deliver your story with clarity, conviction, and grace. 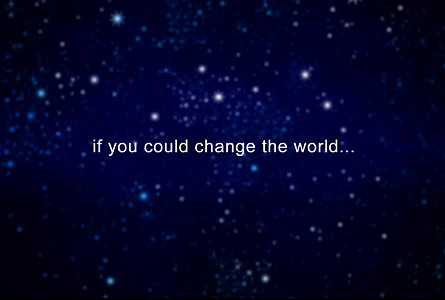 It's true for CEOs and it's true for social entrepreneurs...and it's true for you and me. When we started out some twenty years ago, most of our students were African-Americans from the city’s poorest neighborhoods. 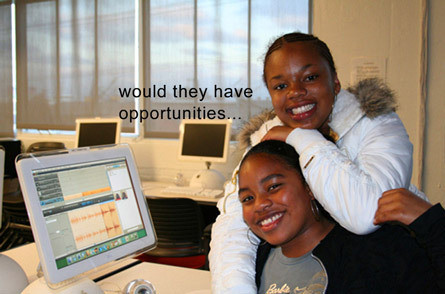 Today, almost half our student body is made up of disadvantaged white folks. We greet them all with the same basic recipe for success: high standards, stiff challenges, a chance to develop unexplored talents, and a message that many of them haven’t heard before—that no matter how difficult the circumstances of their lives may be, no matter how many bad assumptions they’ve made about their chances in life, no matter how well they’ve been taught to rein in their dreams and narrow their aspirations, they have the right, and the potential, to expect to live rich and satisfying lives. You can learn a lot by looking around at the graphic design around you. As I road the subway yesterday in downtown Osaka, I came face to face with this Mcdonald's ad posted to the inside glass of the train (below). When you see this, what comes to mind? I sometimes jumble letters at first glance so what I "saw" in that first instant was not McWrap but "M-crap." The c-r-a-p stood out to me. Perhaps because the company—which has 10,000 stores in the USA and over 17,000 more in 171 countries—is often the object of culinary ridicule (not all of it fair), I found the product name and the text placement in this ad to be just tad ironic. I'm not the only one. Many visitors to Japan are now adding McWrap to other local product names that give them pause, such as Pocari Sweat (sports drink), Creap (non-dairy creamer), and Pecker Mechanical Pencils. A tip for Mickey-D's — never but your "M-c" anywhere near an "r-a-p."
At a glance, this is how I first saw the sign. Perhaps this is due to the placement of the "c" above the "r"? 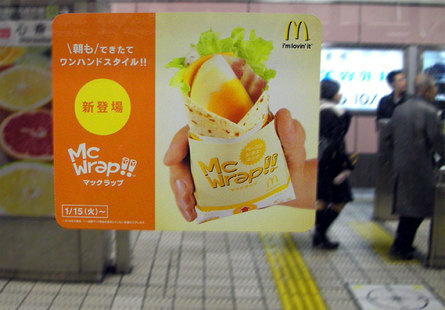 The product name in Japanese (the katakana below the English type) is pronounced "Makkurappu" which sort of sounds like "Mac Wrap" but it sounds something close to "Mai Crapu" as well to non-Japanese speakers (listen for yourself). And even if you pronounce it "McWrap" perfectly in English? Well, say that three times fast. The name is not really inappropriate, however, for Japan; it's easy to say. And Snack Wrap—the original name used in some English-speaking countries—couldn't be used as "Snack" doesn't work for several reasons for this product in Japan. The only problem I see is the placement of the "c" in proximity close to the "rap." In the urban dictionary you can find two enteries for "McCrap." This is not a knock against Mcdonald's at all, but it seems that the firm would want to avoid making it easy for detractors to use this unfortunate Mc-monicker, even overseas. 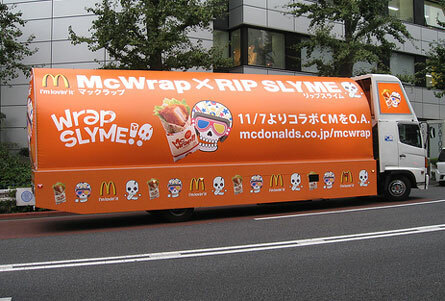 As I investigated McWrap further in Japan I found that they got help from one of Japan's top hip-hop groups, Rip Slyme. So what happens when you put Rip Slyme and McWrap together? You get Wrap Slyme. I know what you're thinking—yum. If the association with "crap" didn't wet your appetite for the product, perhaps the connection with "slyme" will. (Who are Rip Slyme? Here's a sample video. Not for young kids...). Clearly this campaign, product name, and graphical treatments are for the Japanese market only. And for this market—where the brand is still cool and very popular—it is just fine. But when we try to imagine this name and this design being used in an English speaking country where the brand often has to deal with jokes, we can see how this particular name and placement of the text—not to mention the Wrap Slyme promo—would not work well. 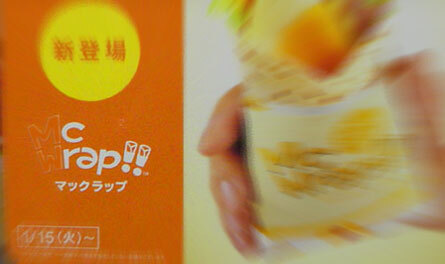 There is nothing wrong with the name, or any of the promotion so long as it is contained in Japan. Still, it's a small reminder just how important naming is and how much little things like the placement of text in a simple design can matter. • A video from Japan to the Max, a humorous video site run by an Australian graphic designer in Japan. In this video, he makes a Rammstein-style heavy rock song using the names of Japanese snack products as lyrics. I have been invited to give a presentation next week in Tokyo, a presentation that is open to the public. Except for the Apple Store I don't have a chance to present too often outside of corporations and private organizations, so I'm really looking forward to this talk. If you are in Tokyo next week, I'd love to meet you at this event. 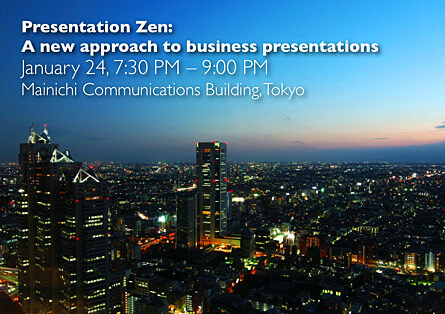 If you are not in the area, perhaps you know someone in Tokyo that would be interested in the presentation. The presentation is in English and is highly visual including some short video clips. The talk is sponsored by The Forge Training Consultancy in Tokyo. There is a ¥5000 fee which includes drinks and a buffet. The date is January 24 (Thursday) at 7:30pm (doors open at 7:00pm). I'll give away as many books as I can schlep up to Tokyo. You can find details about the presentation here in Japanese and English. Hope to see you there! 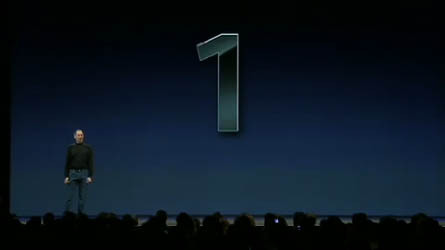 Macobserver reported that Jobs's keynote Tuesday in San Francisco was not one of his "expectation-shattering presentations." They quoted Your Mac Life host Shawn King saying that "Jobs's performance seemed a little off." But as a commenter on the website said "...if Jobs had announced contact with an alien civilization, it wouldn't have 'shattered expectations.'" The downside of having a reputation for being "insanely great" at anything is that expectations will surely rise for you to top your last performance (your last product, your last album, your last book, etc.). This is a good problem to have, but it is a real challenge nonetheless. 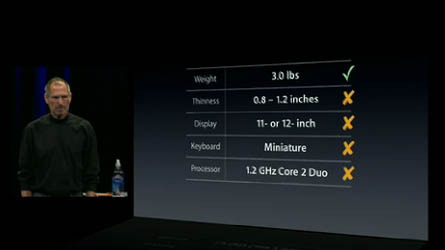 Product announcements aside, Jobs did a very good job on stage as usual Tuesday. Maybe not his best performance ever (there were a couple of minor glitches and the Apple TV hunk could have been shorter), but still it was very good. 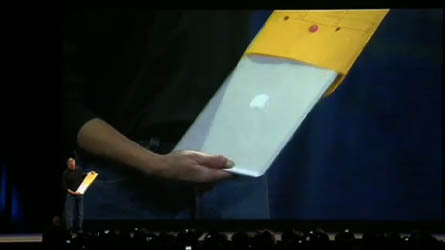 You can watch the entire presentation here on the Apple site. If you do not have the time, then watch this edited tongue-in-cheek-version of Tuesday's Macworld keynote below which condenses the content down to 60 seconds. As with all Steve Jobs presentations, there is much we can learn and apply to our own unique situation. There are many things I like about Jobs's style on stage,* but here are just six. 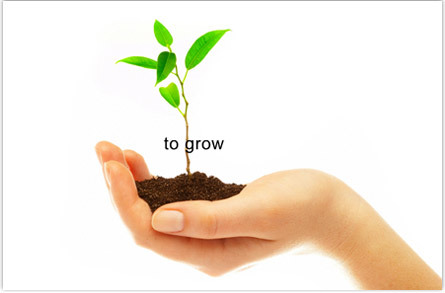 (1) Develop rapport with the audience. Jobs walks out on stage all smiles without any formal introduction over the PA. 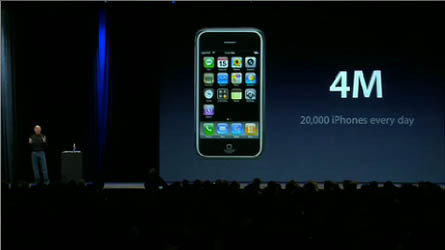 He welcomed everyone and then quickly (very quickly) reviewed what a fantastic year 2007 was for Apple without visuals or a script. "I just want to take a moment to thank you..." CEOs often say these kinds of things, but in this case it seemed very natural, humble, and heartfelt. Right off the bat he was acknowledging the importance of the audience and that they are they important ones, they are who this presentation is for. For our unique situations too it is important to establish rapport right from the start. Mingling with the audience before your talk helps; this way you're not a stranger. More than just a "thanks for coming." (2) Give them an idea of where you're going. You do not need the ubiquitous and infamous agenda slide, but give people an idea where you're going, a bit of a road map of the journey you're taking them on. 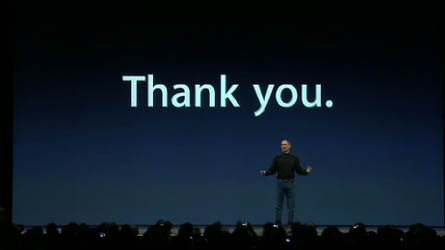 In Jobs's case he gave a simple welcome, built a little rapport with a humble thank you, and then boom! : "I've got four things I'd like to talk about with you today. So let's get stated." He did not say what the four things were (you may wish to be more specific), but just knowing that there are four major parts helps the audience. (3) Show your enthusiasm. Sometimes you may want to curb your enthusiasm, but most presenters show too little passion or enthusiasm not too much. Yes, a presentation on medical treatments by a researcher is different than a CEO's keynote, but in each case the appropriate level of enthusiasm can make all the difference. In just the first few minutes on stage Jobs used these words: Incredible, extraordinary, awesome, amazing, revolutionary. You can disagree with him. You can say he is over the top; call it hype if you want. But Steve Jobs believes what he says. He is sincere. He is authentic. The point is not to be like Steve Jobs, the point is to find your own level of passion and bring that honest enthusiasm out in your work for the world to see. (4) It's not about numbers, it's about what the numbers mean. A business keynote by a technology company is different from a scientific presentation at a conference, but isn't it always about what the numbers mean rather than just the numbers themselves? So your cholesterol is 199, the national average. Is that good or bad? Up or down? Is "average" healthy or unhealthy? And compared to what? When Steve Jobs talks about numbers in his keynotes he often breaks them down. For example, 4 million iPhones sold Jobs said is the equivalent of "20,000 per day" since the units went on sale (though this says nothing about the current sales trend, etc.). 20 percent market share? In and of itself that does not mean much, but the meaning becomes clear when he compares it to others in the field. (5) Make it visual. 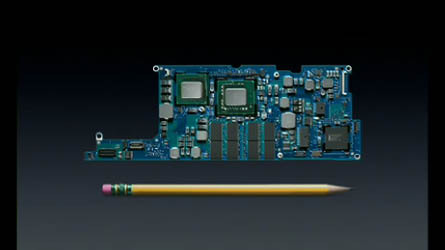 Jobs also does a good job of using visuals to show how something is bigger, faster, cleaner, whatever, such as when he used a pencil to show the relative size of the MacBook Air's internals. 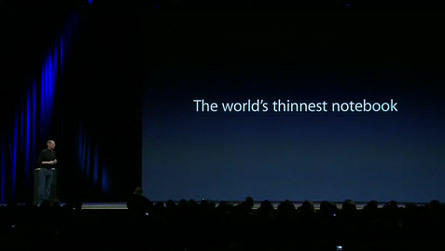 Jobs also goes to much effort to give meaning to how thin 0.16 inch and 0.76 inch really are by comparing them visually with a competitor's thin notebook. Is 0.76 inch really thin and compared to what? (And of course, everyone outside the USA is saying "wait, how many mm in an inch?") I don't know if the MacBook Air is a great notebook or not, but everyone will sure remember that it is "really thin" even if they forget the 0.76 and 0.16 inch figures. People may forget the number, but they will remember that the MacBook Air fits easily in a standard office envelope (they remembered all right). "The world's thinnest notebook—what's that mean?" 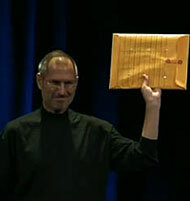 Jobs compares his idea of "thin" with current ideas of "thin" in the marketplace today. X means Apple wanted to do "better" than this. 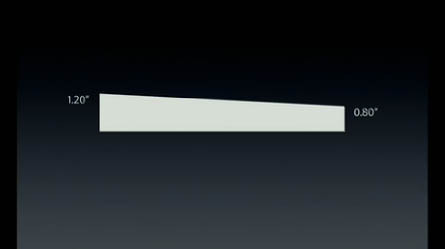 MacBook Air's thickest part is still thinner than the competition's thinnest part. (6) Save the best for last. People will make an assessment about your performance in the first two minutes, so you have to start strong. But you have to finish even stronger. 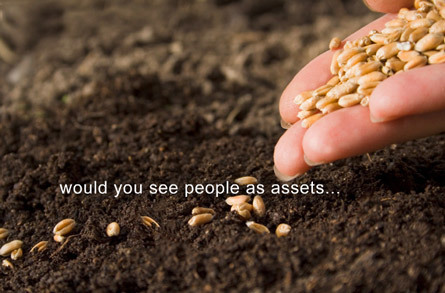 People remember most the first part and the last part of your presentation. The middle stuff is important, of course, but blow it at the start or at the end and all may be lost. This is why you have to rehearse your opening and your closing so much. And save your strongest stuff for the end. 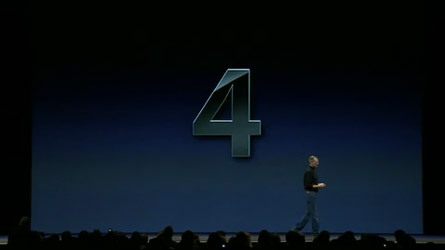 In Jobs's case he saved the MacBook Air for last—the 4th thing he wanted to talk about. saving the best for last. 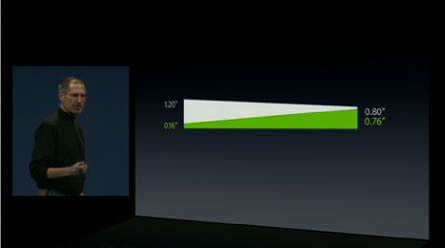 "There's something in the air" was the theme in this keynote. This was that something. Here are a couple of podcasts I participated in over the Christmas break in the US. The first one is hosted by Ric Bretschneider Senior Program Manager for PowerPoint at Microsoft. Ric has been at Microsoft forever (or it just seems like that) and he's created a new website called Presentations Roundtable which will feature different podcasts related to presentations in future. Our podcast is the premiere episode on the site. Our talk is about 27 minutes long, but if you wait a few seconds at the end there is another couple of minutes of banter that actually took place before the podcast began (perhaps a bit too "naked"). Please keep in mind that I was out of my mind with exhaustion from the long flight, presentations, no sleep, etc. Yet we still played basketball inside Duarte Design after the recording. Nancy, Ric, and Howard are very smart and very funny. Great people. It was an honor for me to share some time with them. More photos from the night here on my PZ flickr site. Go to the podcast. Nancy on my left, Howard on my right, Ric across the table. The next podcast is a recorded telephone conversation with Nancy Aldrich-Ruenzel, publisher of Peachpit and New Riders. 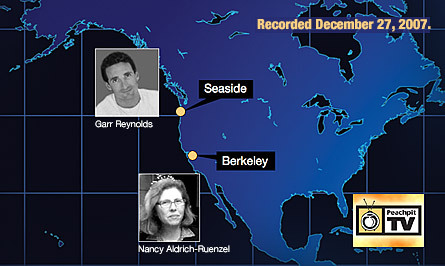 At that time I was up on the Oregon Coast and Nancy was in Berkeley, California. At this point I had slept enough, but I think I was still battling jet lag and overdosing on Christmas cookies. This conversation is about 23 minutes long. Go to the podcast. A telephone conversation with the Peachpit publisher Nancy Aldrich-Ruenzel in California. 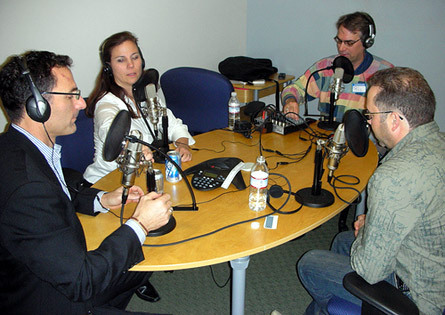 Hear other interviews with authors including Robin Williams on the Peachpit website website. You can also purchase the Presentation Zen book directly from the publisher here. I don't usually point to political speeches, and frankly there hasn't been too much worth talking about over the years. And then yesterday, here in Japan so many miles away from the US, I stopped and took a moment to turn on the international news. I tuned in and saw this speech below by US presidential candidate Barack Obama. It was a concession speech of all things; I didn't expect much. But this 10-min speech blew me away. This was a scripted speech, and one of the best written and delivered I have seen in some time. Cable news pundits are saying that this concession speech (didn't sound like a "concession speech") may be one for the ages. Only time well tell. 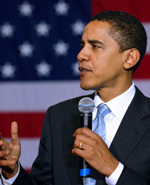 But this short speech had it all: simple but eloquent and powerful language, and a strong yet upbeat, friendly delivery. Looks like the speech and communication teachers have a new one to put in their reels. 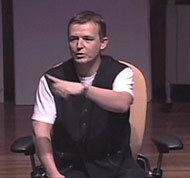 Repetition is a classic technique in presentation and speech making (and in design as well). It can help you tie the theme together and it creates clarity for the listener. Every school kid in America, for example, learns about one of the greatest speeches in American history, "I Have a Dream" by Martin Luther King, Jr. In that 1963 speech, MLK used the "I have a dream" refrain through out. Actually, while watching the latter parts of Obama's speech today I almost got the sense that Obama was channeling the styles of both MLK and JFK (an idea that some in the media noticed as well). Communication isn't everything, but it's huge when you're trying to lead. Yes, brains and reason and compassion are requirements for leadership, and a leader better have a plan and the intelligence to see that plan through. But great leaders also inspire and motivate, and nothing inspires and motivates like a great speech. The video below is the last half of the speech (the best part). But you may enjoy the entire speech as well. Here's a bit of the contents from Obama's speech. Notice the refrain: Yes, we can. • JFK's "Ich bin ein Berliner" speech from 1963. • MLK's "I have a dream" speech from 1963. Passion and the courage to "tell it like it is"
Go here on the TED site to join the discussion about this presentation topic.